Video Corrector is used for differential phase and differential gain characteristic modification, to optimize video performance. The main function is to provide pre-correction for differential gain, differential phase and sync amplitude distortion produced in the TV transmitter. IF (Intermediate Frequency) Corrector (VISUAL) is used to compensated Incidental Carrier Phase Modulation (ICPM) and Low frequency (luminance) nonlinearity. 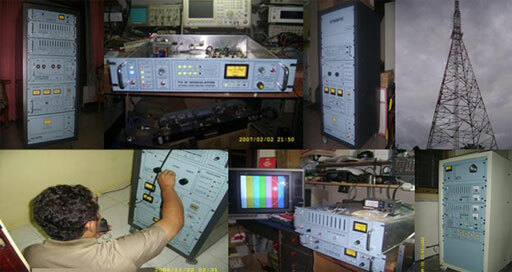 The primarily function of IF Corrector is to provide ICPM Correction and Linearity Correction to modify the low frequency (luminance) characteristic of the TV transmitter, and to provide sync pulse amplitude correction.